Nate Berkus will host NBC’s ‘Renovation Nation’. For all of us HGTV addicts, we will soon have a new source for home improvement entertainment: NBC’s Renovation Nation. This brand-new series has yet to set a premier date, but will consist of 10 episodes hosted by interior and product designer Nate Berkus. The series will feature a home makeover competition between builders and designers for a huge cash prize, and the final episode will determine who will be crowned King of Renovation Nation. The show will engage the audience, as America will be the judge of who stays and who goes. Also, two incredibly lucky viewers will be awarded with dream homes on the show’s finale! 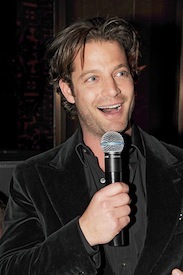 Nate Berkus will not only host and serve as executive producer of the show, but will also guide the audience through the process while mentoring the show’s contestants from week to week. Just like the Over My Shoulder Foundation aims to aid in “designing the next generation” through the art of mentoring, Nate Berkus will play a valuable role for both the show’s contestants and audience in demonstrating his passion and experience when it comes to the world of design. The show will also help to empower homeowners to redesign their own spaces to add value and increase the quality of their lives. As a protege of Oprah Winfrey, Nate Berkus embraces the power of mentorship and prides himself on sharing valuable skills and advice that he has learned along the way with those that can benefit from this knowledge. Be sure to stay tuned for more information about this exciting new design series!